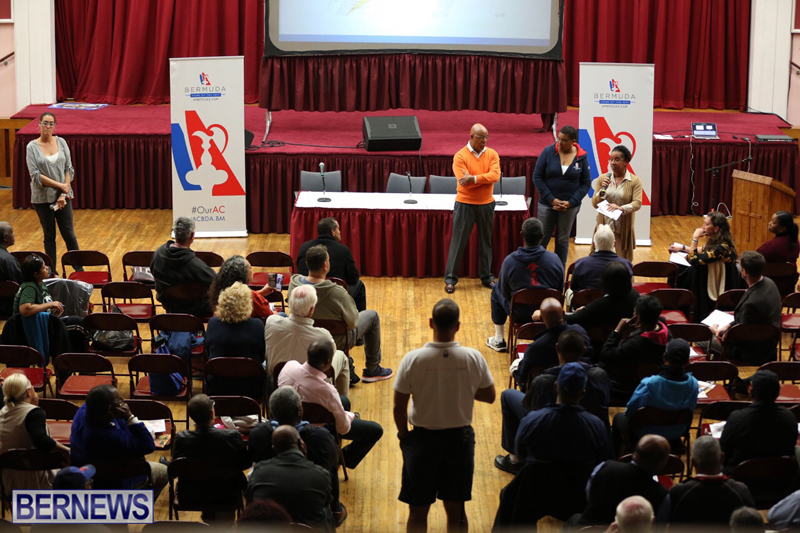 The America’s Cup Bermuda [ACBDA] held the third in a series of information sessions this evening, with the meetings designed to assist local business owners and entrepreneurs who are interested in business opportunities during the America’s Cup this summer. The session featured an update on the America’s Cup including the America’s Cup Village, race course, and ticketing, as well as an overview of the transportation plan detailing what taxis and minibuses should expect and an exploration of taxi, minibus and limousine needs, and an overview of water shuttle fleet requirements. Three more sessions will take place, and three have already been held. To see the live video replay from the first information session on Marine Services click here, and to see the live video replay from the second information session on Island Wide Vending click here. Entertainment Information Session Thursday, March 2nd 6:00 p.m. to 8:30 p.m.
West FOCUS Business Opportunities: To discuss potential opportunities located in the West. Monday, March 6th 6:00 p.m. to 8:30 p.m.
East FOCUS Business Opportunities: To discuss potential opportunities located in the East. Tuesday, March 7th 6:00 p.m. to 8:30 p.m. I think their is one of the Taxi Dispatch companies that provides credit cards for all is its drivers already? Premiercoop? Anybody can provide more info? I think there is one of the Taxi Dispatch companies that provides credit cards for all is its drivers already? Premiercoop?